Adriana Segundo was born and raised in the Rio Grande Valley. Adriana received a B.A. in government from The University of Texas at Austin in 2007. After graduating, Adriana spent a year teaching Pre-AP World Geography in her hometown. She graduated from St. Mary’s University School of Law in 2011. During law school, Adriana was a student attorney at the St. Mary’s Center for Legal and Social Justice Program. She was also elected as a representative to the Student Bar Association where she served as a committee chairperson. Prior to joining DMCA, Adriana represented clients in their Social Security Disability claims across the United States. She has extensive experience in administrative procedures and hearings. 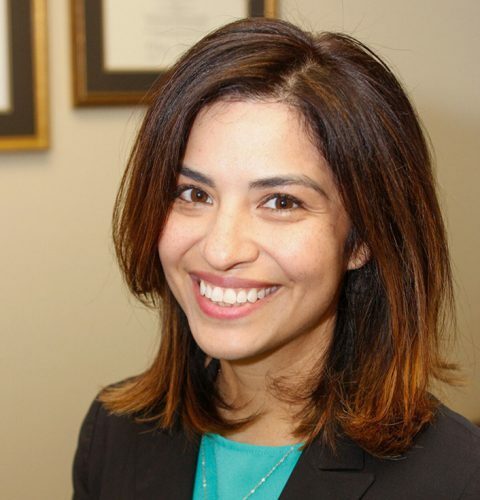 Adriana is a member of the San Antonio Young Lawyers Association and San Antonio Bar Association. Adriana is fluent in Spanish.